Our range of branded wireless chargers can be used with all smartphones that support modern Qi inductive charging technology, including the newest iPhone and Android devices. There's no denying that wireless charging has grown increasingly popular with many products now supporting it as a standard feature, therefore USB2U is continuously on the lookout for new products to add to the range. Most wireless chargers can be branded on the front face via colour print ensuring that any company logo truly stands out on each product. 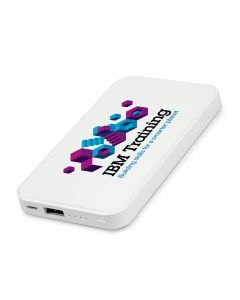 Promotional wireless chargers work well in getting your brand noticed thanks in part to large branding area that they inherently offer. Company logos and designs can be printed in full-colour ensuring you immediately have a product that is both eye-catching and memorable. 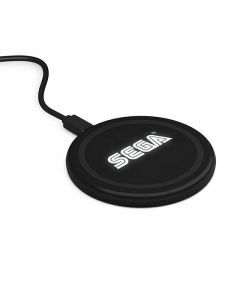 What's so great about promotional wireless chargers is that they are such a highly used, everyday product. With the vast majority of people now owning a smartphone, the likelihood is that most would need to charge their device at least once a day. Getting your company logo or design in front of your customer's eyes presents an everyday exposure for your brand and ultimately helps them to build a level of trust with your company, even if they have not necessarily purchased from you before. Because of this reason branded wireless chargers make great corporate gifts for clients.